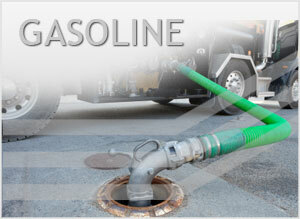 Frontier Tank Lines is reliable provider of gasoline, and all its grade to all of our customers. We deliver gasoline, and the other types of fuels we provide, across our Service Area, which includes: Dallas/Ft. Worth, San Antonio, El Paso, Amarillo, Midland/Odessa, Albuquerque, Oklahoma City, and beyond. Even if you’re not located in those markets, not to worry, we supply gasoline for customers throughout Texas, New Mexico, & Oklahoma. With dedicated service and exceptional expertise, Frontier Tank lines has the fleet of vehicles and drivers to provide you with gasoline when you need it. Even during an emergency, we can keep you running. All grades of Gasoline are just a part of what Frontier Tank Lines provides, our services also include: Emergency Fuel, Fleet Fueling, Inventory Management, Tanks, Transportation, and 24Hr On Call Dispatch Teams. Frontier Tank Lines can deliver gasoline to you, get started today, call us at (800) 291-7876.